Finding amazing garden furniture in Greater London was never so easy before. Since we established Birchen Grove Garden Centre ten years ago, we have been steadily growing our outdoor furniture section and helping residents in the area browse through a huge variety of materials, designs, and colours. When it comes to setting up your garden for a tea party, you need not look beyond our collection. When it comes to materials, we have garden seats and benches made of iron to provide furniture that will take years to wear. We also have weave chairs and tea tables for a more natural look in terms of colour and flexibility of design. Of course, our display of wooden garden furniture in Greater London is second to none with all the popular and traditional designs included. In terms of seating options, you will find garden seats, lounging chairs, benches, tables and much more available in our displays. You can see them on a range of displays and decide what would look great in your garden. Since summer is the time when we like to spend the afternoons in the garden but that is when the rains usually come, it is imperative to protect your garden furniture in Greater London and other areas of Britain where heavy rains are expected every summer. We have weather-proof covering available for chairs, tables, and cushions so you never have to worry about your outdoor furniture soaking in the rain. A beautiful looking garden is not just made of flowering beds that stay vividly colourful through the year. It includes all the delicacies of a garden that you can enjoy staying in any time of the day. At Birchen Grove Garden Centre, we have always equipped our collection of garden decor products with this idea in mind. Our outdoor furniture, garden lighting, and other product categories are filled with items that will make your garden decor stand out among all of the neighbours. We know garden furniture of good quality is pricey and we do not want you to invest your money on products that you will not be satisfied with later. 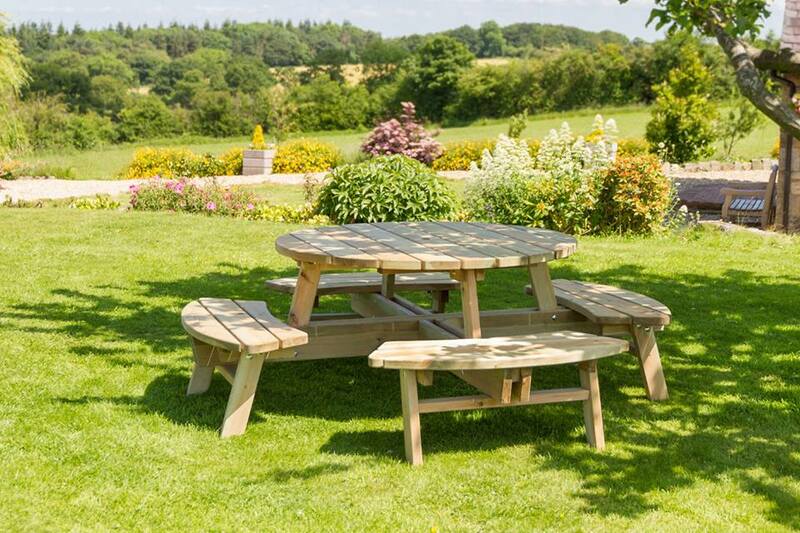 So, while we already make sure our collection is made up of superior quality products, we also urge you to talk to our available experts when you visit Birchen Grove Garden Centre to buy garden furniture in Greater London. Our experts will ask you questions about the layout of your garden and what kind of items you already have in place inside it. You can also tell them about your design and material preferences along with the budget and they will point you to the most fitting products available without wasting your time. Besides this, we stock a great range of garden accessories. Your garden will look only as beautiful as you make it look. You should make sure it looks like a great place to spend some time relaxing near your flower beds in the shade of your trees. Get the right garden decor and bring out the best of the garden you work so hard on.